Nowadays customers expect one thing above all: outstanding shopping experience and exceptional service. In 2016 those who neglect these two important factors, will simply have to accept lower profit. Another essential factor here is that research begins online, with the purchase ultimately being made in the physical store. Therefore, you should draw visitors in the store in advance, via a website or social media. You can do it by offering special experiences such as a one-to-one online consultation or a rapidly responding helpdesk. Tip: address the needs of your customer before they actually visit your store. What do they want to know in advance, before going to the store? What are the needs of your buyers? Address these needs specifically and be one step ahead of your competition. Nowadays success in retail comes down to establishing a connection with your customer. To this end, one thing must be made clear: buyers have become omnichannel shoppers. In order to make a purchase, people do not simply follow the traditional method of going into a store. But instead they shop via social media channels, search engines or the web ads. 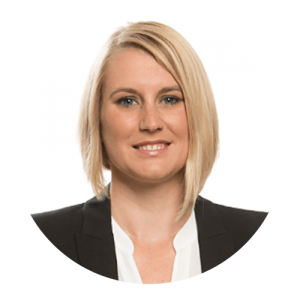 It is therefore important that retailers analyse the behaviour of their customers and offer localised information at the right place, at the right time. This of course sounds very simple in theory, but in reality it is a highly challenging and an extremely complex subject. Retailers should therefore attempt to reach their customers on all channels and score points with advertising or support offers. Tip: identify the channels that are of particular interest to your customer. Pinterest and Instagram, for example, are of higher benefit to the fashion sector, while search engines to the service industry. You can place targeted advertisements in order to appeal to your customers. By geo-targeting you can reach out to customers located near to your physical store. In order to motivate omnichannel shoppers to make a purchase, you must first understand who they are and how they behave. We have already learned this in the previous tip. Successful retailers even go one-step further. They attempt to gain an even better understanding of their customers by measuring which touchpoints they have with the customers, at which locations. And to top it all: this should take place device-independently. In order to analyse user behaviour on various platforms, you have to bear in mind the entire customer journey and accompany customers on their journey through each channel. Whether this be TV, advertisements, search engines, email or direct mail – in 2016 the retailer will have to adopt a holistic perspective with regard to how valuable a purchase in-store really is. Tip: delve into the world of visitor tracking. It is wise to track all important channels and monitor your individual visitors from the first point of contact right through to purchase. Hand on heart: in 2016 you still won’t know exactly how your customers behave, but the earlier you start the more insight you will gain, and therefore the more success you will have in future. 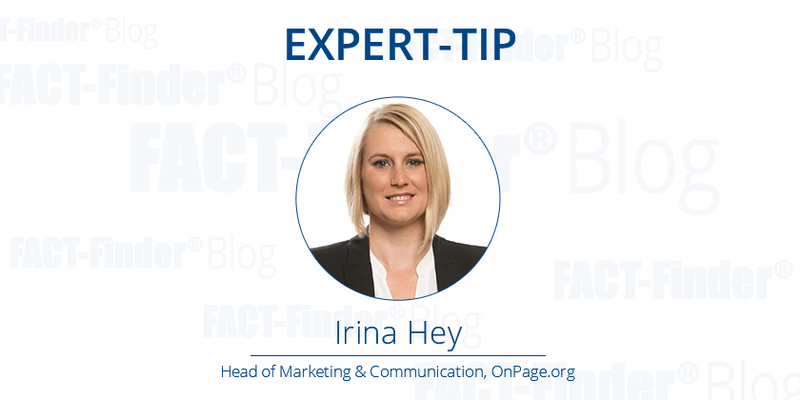 Irina Hey is Head of Marketing & Communications at OnPage.org, an all-in-one software provider for better websites. The long-serving, passionate online marketing expert has already published numerous articles on the topics of website optimisation and ecommerce in relevant books and journals. Next Post More revenue in 2016? This is what retailers should do!